sometimes the simplest things are the most thoughtful & memorable. 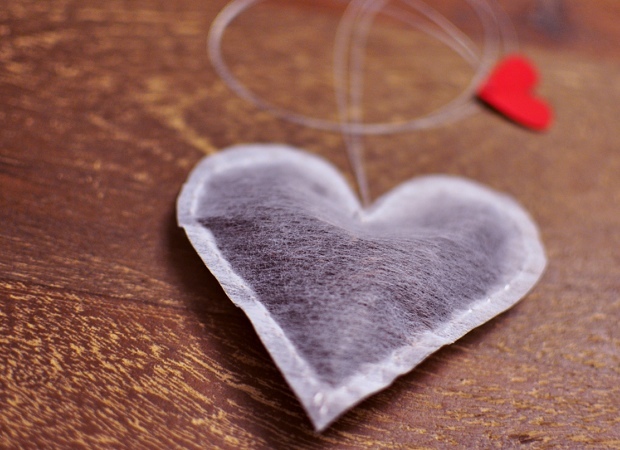 if you are looking to do something sweet & simple for valentine's, surprise your loved one by brewing a cup of tea filled with love or gift your friends & family with a bag filled with these individual heart shaped tea bags. 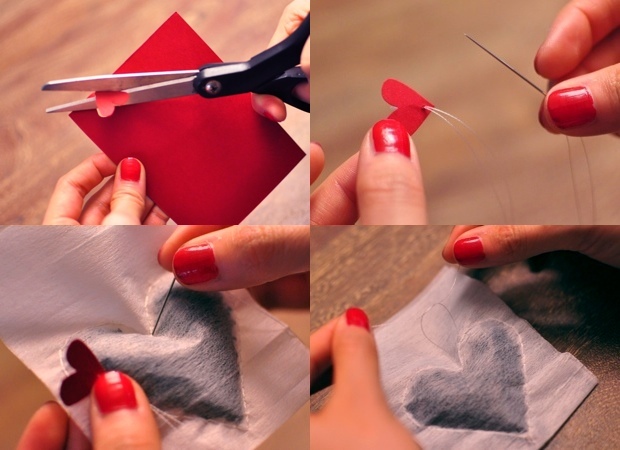 1.cut construction paper in the shape of a heart so that it's big enough to fit a teaspoon of tea leaves. 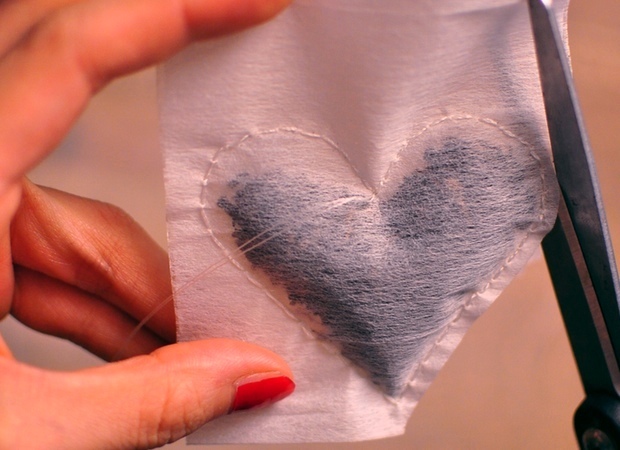 2. put the heart over the tea bag & sew around it. 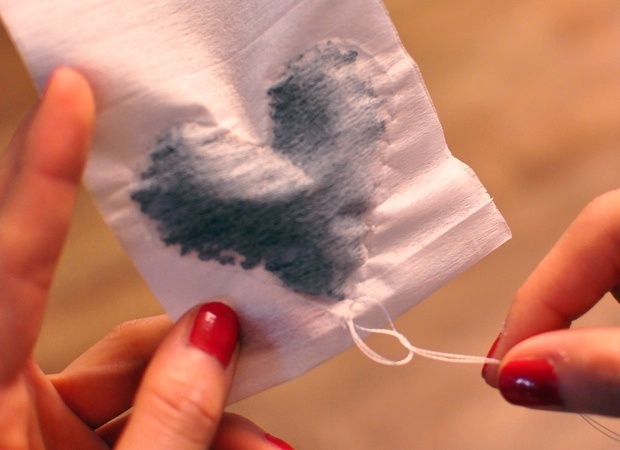 make sure each stitch is close together so there is no room for the tea leaves to fall out. 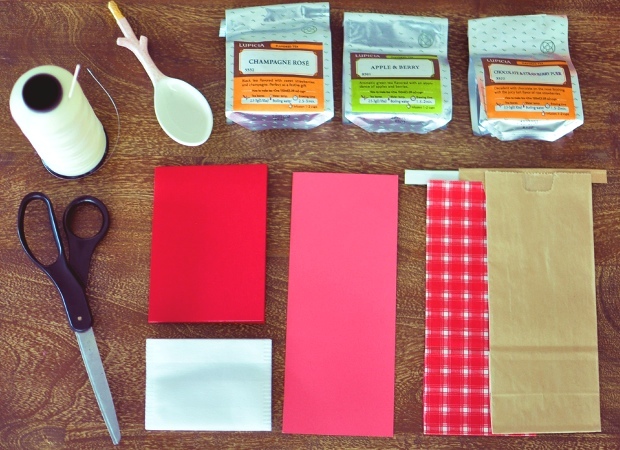 4. make a funnel with a piece of paper and insert it into the opening. 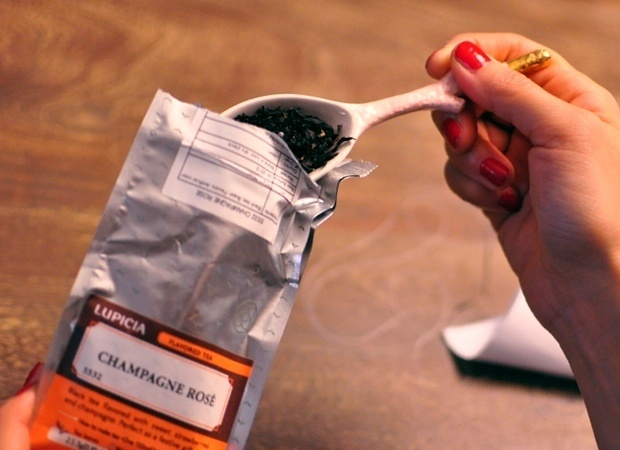 2. take a needle with thread (8 inches if single strand; 16 inches if double strand) & put it through the tea tag. p.s. this was my first diy!!! This is so thoughtful and sweet! 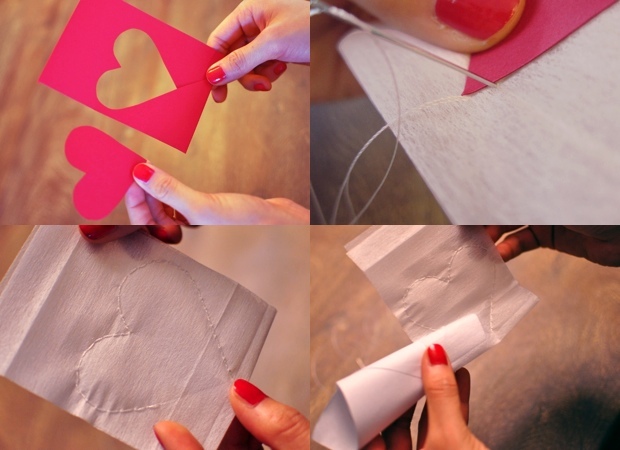 what a cute DIY idea! Wow - what a great idea!!! awww...thanks wendy! hope your having a wonderful wknd! Your DIY is adorable! 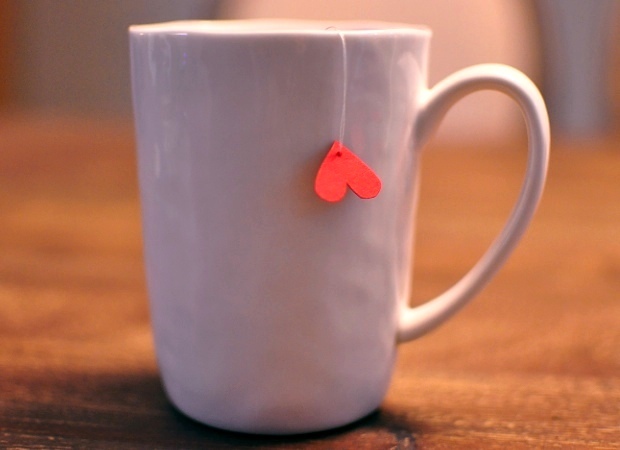 I love the idea of a custom-made teabag - you could have such fun making them in all kinds of shapes/motifs depending on the occasion. you did a great job for your first try! you should sell these on ebay! Wonderful!! I made one, too! Thanks for the instruction. You can see it here. What an awesome idea, Jin, thanks for sharing! I'll be making that for my sweetie for Valentine's day, too. thanks monika, i'm sure your sweetie would love this as a valentine's gift! Great idea!! Your blog is beautiful!! kisses from Argentina! I'm Lau and my blog bulubu.blogspot.com.ar Bye!!! Hi. what string did you use. Love it! I'm totally doing this! Thank you! With Christmas just over I want to make this next year! Will make a tree and use a star as the tea tag. I just love this!! I will to them next Christmas! They are so nice! Super sweet! Pinning and sharing:) Love your blog!
! 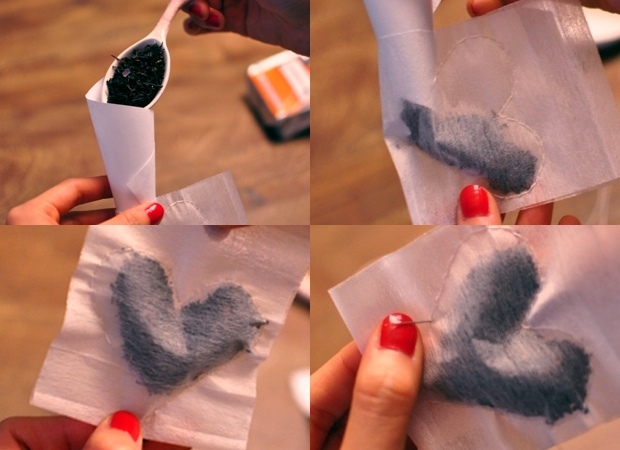 tried this but couldn't find the tea bags like that, so i tried it with coffee filters, and it worked great! 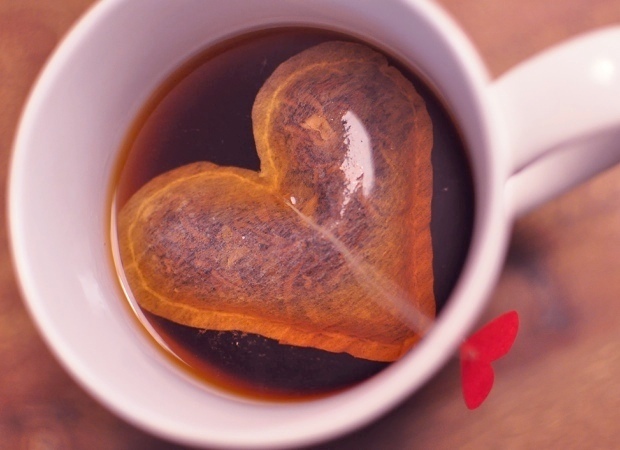 Hello, i really like this idea so much ^.^ Can i share my heart tea photos in my blog? :) This is ur idea so i should ask u.